To protect and serve our customers by delivering a prompt, thorough and professional inspection of the property for a reasonable price. 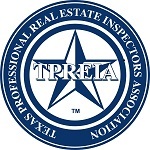 Apex Inspections provides certified, professional home inspection services in the Central Texas area. Serving Williamson & Travis Counties. Austin, Cedar Park, Leander, Round Rock, Georgetown, Liberty Hill, Pflugerville, Hutto, Manor, Jonestown and Lago Vista. Steve Cannon has been performing inspections since 1993. He has been in the construction related industry including inspections since 1979. He has performed over 8,000 inspections since becoming licensed as an inspector. We provide comprehensive narrative type reports with digital photos. The report also includes a summary section that makes it easy to find the most important issues concerning the property. Time is critical during the home buying process for discovery during the contract option period. That is why we strive to provide the report the same day to all of our clients. Previous page: "Inspected Once, Inspected Right"